Pets are loving members our families and giving them a safe, clean and durable place to play is critical to their health and happiness. 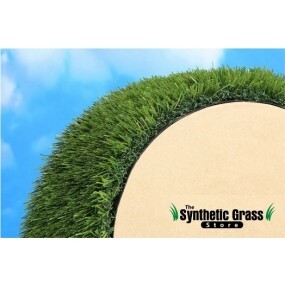 The Synthetic Grass Store specializes in helping you, and our furry friends, create the perfect environment with year-round beauty and minimal maintenance. 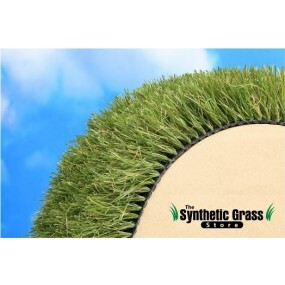 All synthetic grass sold at the Synthetic Grass Store has been rigorously tested and verified in independent labs to be 100% lead-free, non-toxic, non-flammable and safe for humans and pets. 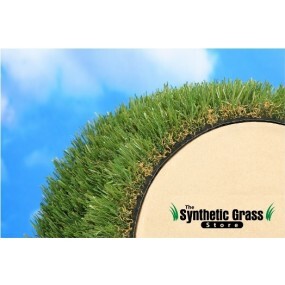 It’s durable and even safer than natural grass because it eliminates harmful pesticides and chemicals needed for natural lawn maintenance. Plus, you get the added advantage of weed control and reduced allergies. Your pets will love rolling in the lush green grass and you’ll appreciate how easy it is to clean and maintain plus the benefit of no more muddy paw prints, brown spots or holes dug in your yard! Products include drainage holes in the backing of the synthetic grass, which drain at 30 gallons per hour per square yard. This drainage system helps with cleanup and prevents odor-causing bacteria from growing. Just scoop up solids after your pet and rinse. use ZeoFill premium pet odor infill along with PE-51 neutralizer to maintain a safe, clean and odor-free pet paradise! Will pet urine discolor or stain my synthetic grass? No it will not. All of our Synthetic Grass is pet friendly and made for use in dog runs and other pet friendly areas because it is so easy to maintain and clean. You simply do as you would with regular grass, normal scooping duties and hosing it off at least once a week. How can I make sure there is no urine smell on my grass over time? 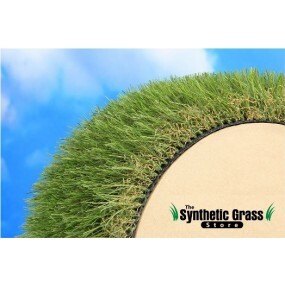 Odor control is most important when it comes to synthetic grass. ZeoFill is a negative charge infill which captures ammonia found in urine and prevents ammonia from turning into gas therefore eliminating the smell. ZeoFill absorbs and holds 80% of liquid without swelling and is 100% natural so it is environmentally safe for kids and pets. What if I do notice an odor? Since Zeofill works best with heavy rain water because of the sodium ion contained within rain water, it will release the negative charge in the granules allowing the force of the heavy rainwater to flush out bacteria and recharge the ZeoFill naturally. If you live in a place that you don’t have a lot of rainwater a product called PE-51 is a good alternative. PE-51 is a nontoxic, biodegradable concentrated enzyme product. It cuts down on odor and bacteria, leaves behind no residual and has a fresh cut grass scent. You simply attached the hose directly to the nozzle of PE-51. One 32oz bottle covers 1200 to 1600 square feet. Will my dog try to dig or eat the grass? 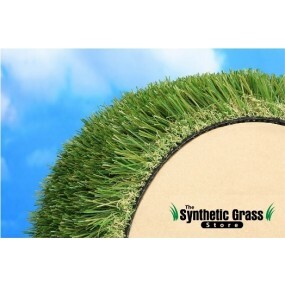 Some dogs will try to dig through anything however our synthetic grass is extremely durable with a double coated backing making it almost impossible to tear. Dogs eat grass for a variety of reasons, some like the taste or how it feels. Synthetic grass has no nutritional value or taste dogs like so it is very uncommon for a dog to try to eat synthetic grass. Will grass be too hot in the summer for my pet? Synthetic grass does get hot however as most of us know in the summer when it is extremely hot outside you do not want to have your pet walking on hot rocks, or concrete, even real grass gets hot. Synthetic grass falls somewhere in the middle and does not get as hot as concrete but it not as cool as real grass. 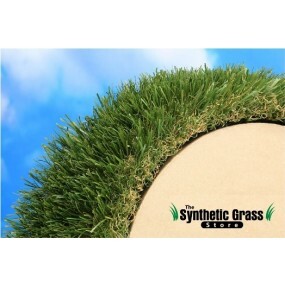 Synthetic grass if in the shade does not retain heat and the grass cools off immediately when you put water on it. We recommend you run a hose or sprinkler before allowing your pet to go on it. The grass will stay cool for about a half an hour or so which is plenty of time for them to enjoy in the heat of summer.